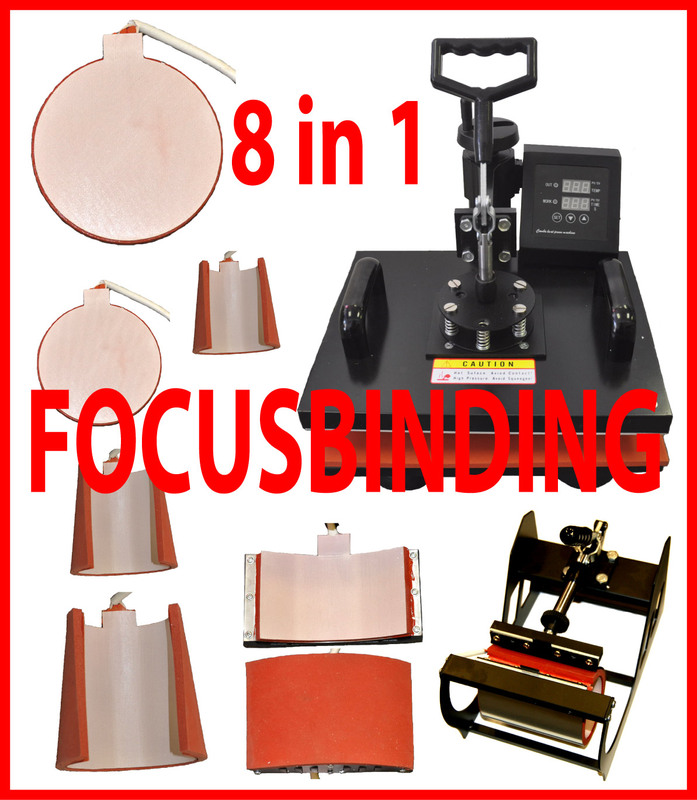 The brand New 8-in-1 heat press is a multi-functional press for heat transfer of images to T-shirts, 4 different sizes of mugs/cups, hats/caps and plates. The T-shirt press, 4 mug presses, 2 sizes of plate presses, hat press can be easily changed for your needs. The temperature and timer are digital controlled. It's cost-efficient deal. 1) T-shirt press: 15" x 12"
2) Hat /cap press: 5.5" x 3.25"